 Mouse anti Human IgM antibody, clone CM7 is an excellent broad species anti-IgM monoclonal antibody, and shows no cross-reactivity with other immunoglobulin classes or sub classes. Mouse anti Human IgM antibody, clone CM7 may be used as a marker of mature B lymphocytes in flow cytometry. Purified human IgM, and then purified cat IgM. Reubel, G.H. et al. (1992) Interaction of acute feline herpesvirus-1 and chronic feline immunodeficiency virus infections in experimentally infected specific pathogen free cats. Vet Immunol Immunopathol. 35 (1-2): 95-119. Chandhasin, C. et al. (2005) Unique long terminal repeat and surface glycoprotein gene sequences of feline leukemia virus as determinants of disease outcome. J Virol. 79 (9): 5278-87. Prieto, J.M. et al. (2017) Developmental expression of B cell molecules in equine lymphoid tissues. Vet Immunol Immunopathol. 183: 60-71. Molecular Immunology. 51 (2): 169-76.